Olive oil is one of the top emollients that can penetrate the hair, and its lightweight nature makes it great for moisturizing. 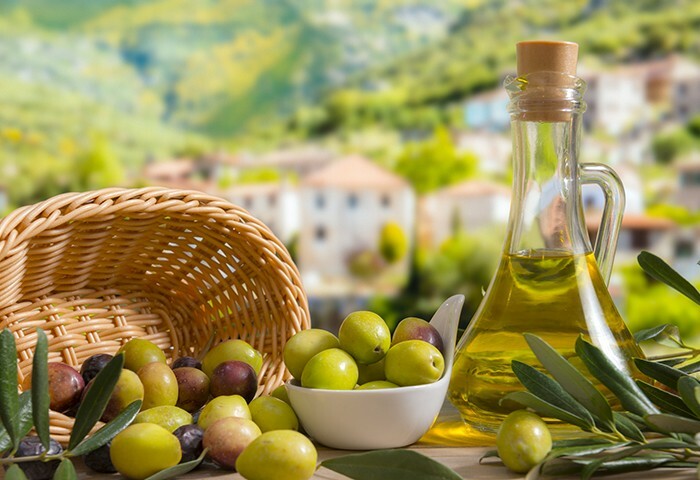 Olive oil also contains anti-inflammatory properties that promote scalp health and prevent dandruff. Extra virgin oil also contains high levels of monounsaturated fatty acids and vitamin E, an antioxidant important for hair growth. Olive oil deeply penetrates the hair cuticle so that moisture and nutrients are absorbed, leaving coarse, natural, or curly hair not only smoother, but shinier and healthier as well. Mix both ingredients in a bowl into a yogurt-like consistency. Apply it to dry hair in sections, focusing on the length and ends of your curls. Clip each section up as you apply the mix, and leave it in for about 15 minutes. If you like dry detangling, now is a good time to do so with your fingers or a wide tooth shower comb. Rinse your hair thoroughly, air drying to maintain moisture and natural curl definition. Some women prefer applying olive oil treatments to wet and recently conditioned hair while others want their hair to be dry. If your hair is wet and conditioned, it will lock in the moisture and additional nutrients when the olive oil is applied. The downside is that olive oil is already slightly more difficult to apply, due to the hair’s more slippery nature. If you apply olive oil to dry hair, it has a similar effect, but many argue it doesn’t lock in as many nutrients as the wet treatment. Even so, it’s less of a mess than the wet method. Many users also recommend hopping in the shower and letting the steam do its thing, to enhance the effects of the olive oil on the hair. Once you’ve washed it out, watch your step since the floor will be slick with oil. Do you deep condition your hair with olive oil? Share your routine with us in the comments below!